Erin has been heaven sient. She has helped me so much! She takes her time, she cares about me even whenshe hasn't seen me in a while. She has made time to call me just to see how Im doing! I've never had such a caring Dr.
Erin has been heaven sient. She has helped me so much! She takes her time, she cares about me even when she hasn't seen me in a while. She has madetime to call me just to see how Im doing! I've never had such a caring Dr. I'm always happy when I leave my appointments. She explains everything to where I understand the next step. Erin is veryattentive to my health, and needs. Erin grew up outside of Greeley, and has lived along the Front Range for the last 22 years. She earned a bachelor’s degree in nursing from University of Colorado-Colorado Springs. She received a master’s degree in nursing with a family nurse practitioner emphasis from the Chamberlain College of Nursing in Downers, Illinois. Erin enjoys interacting with people and helping them to feel their best every day. She chose to become a nurse practitioner because she feels there is a need to educate patients about recommended medical treatments and health outcomes. “Above all, I believe in relationship building. 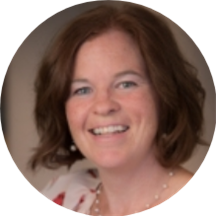 It is important to build a strong working relationship with my patients in order to promote overall health and disease prevention.” Erin has many areas of clinical interest including hypertension, cardiac disease management, disease prevention, and health and wellness promotion. Erin loves spending her free time with her husband and two sons hiking, biking, fishing, skiing and snowboarding. She also enjoys crafting, gardening and reading. Erin was very professional! Great experience. Erin is great! Always understands my needs. I have anxiety regarding doctors and she always puts me at ease. Make me not minding coming to the doctor. It was great, fast, friendly, informative and comfortable.